The pen tool is exceptional in that it allows a user to make a precise selection and edit it while selecting as well as after the selection is complete. It does take some getting used to, but once it makes sense it just clicks. I ended up using the Pen Tool in both Photoshop CS6 and Photoshop CC (which is the most current version). I noticed a difference immediately. In Photoshop CS6 the Pen Tool was great still but it took more time to create curves and to get the path adjusted to the perimeter of the selection I was trying to make. Instead, on Photoshop CC the Pen Tool seemed smarter in that it snapped to the edges of the selection more snugly and curves were smoother and easier to make even without creating or converting a path to a curve, allowing one to be pickier in making a selection. Woman dancing, leaping in air. There wasn’t much trouble with the Pen Tool per say but some minor obstacles occurred during the course of the projects. The first digital piece of work created converted a dancer, pictured left, into a silhouette, pictured below. Creating the silhouette was relatively easy if not time consuming. The dancer was selected by using the Pen Tool to outline her body by placing dots around her which then connect to each other to create a path, or selection. This photo was chosen because her hair wasn’t all over the place making it easier to select and her pose seemed compelling and elegant. Making the silhouette was quite interesting because it involves the same concept behind creating a clipping mask of sorts since it is a shape filled in with another layer although it functions in a completely different manner. What is intriguing is that while you work on outlining the dancer, the pen tool (set to shape layer) will start to fill in the outline you’re creating with black. In order to keep seeing what you are doing Simon Hubbert’s article “Becoming a master of the pen tool in less than 30 minutes” advises to change the opacity of the shape layer to about 40%. Dancer silhouette created with the Pen Tool filled with a photo of space and inserted on top of a gray and white patterned background. 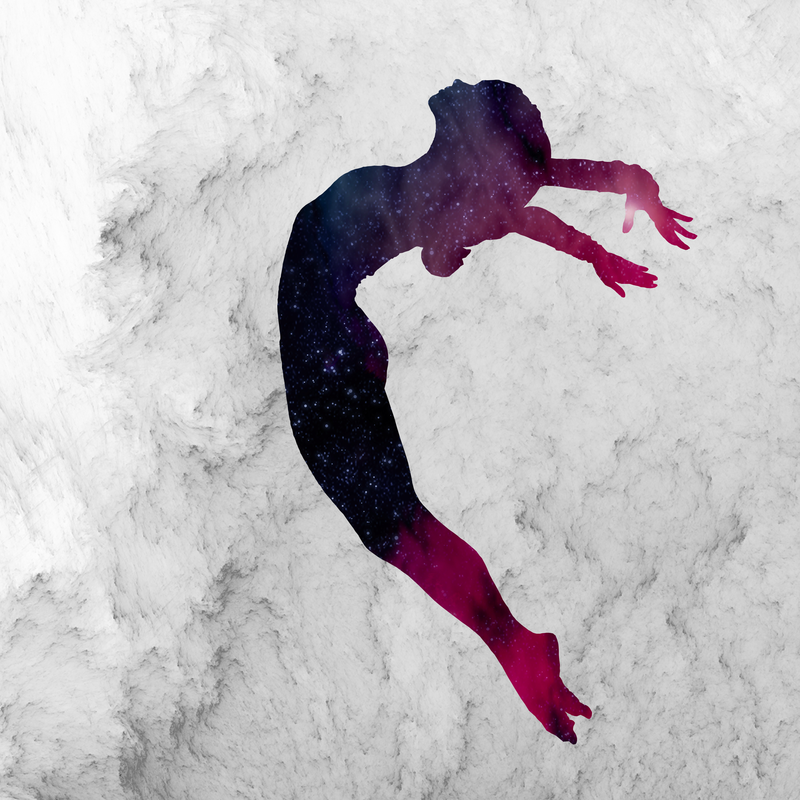 After outlining the dancer, a photo of outer space was inserted as a filler. This specific photo was chosen because it seemed colorful enough to be eye catching and yet it provided some black which was arranged carefully to look like hints of shadows on the dancer’s feet, as you can see in the photo to the left. A light patterned background was also included since the silhouette needed to carry the weight and attention in the photo but a simple white background wouldn’t give the image the texture it needed. Overall this project went smoothly although it did take some time. The only trouble really encountered was selecting the dancer’s hair strands and her fingers since those are both thin and need to be selected perfectly. 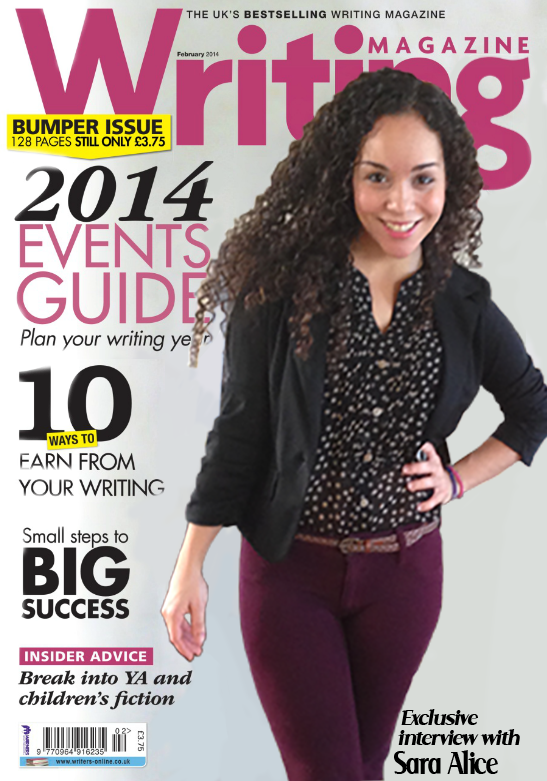 Writing Magazine cover and a picture of myself before editing. The following project in which I inserted a photograph of myself into a magazine cover was a little more challenging although it was more fun. Unlike the previous project, this one involved outlining two selections on two separate photographs: myself in my picture and the person featured on the magazine cover. As you can see to the left this is what the magazine cover looked like and what my image looked like beforehand. 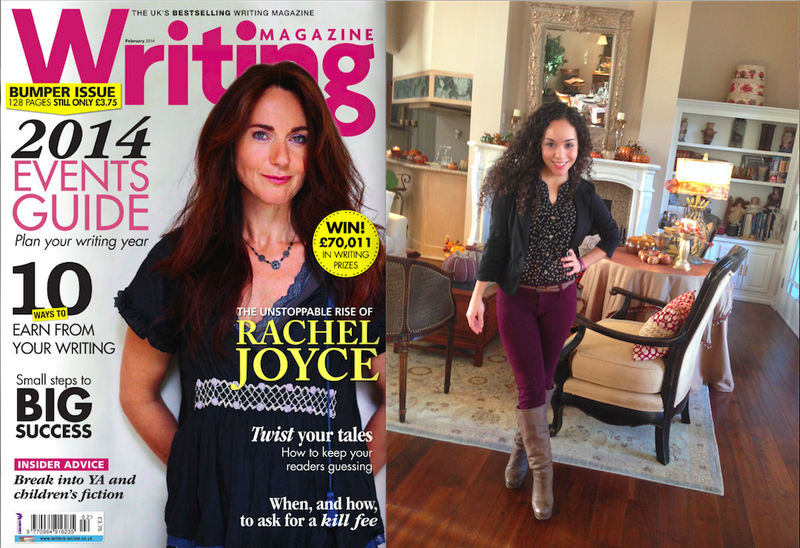 Photoshopped image of my photo on the cover of Writing Magazine. The finished product, featured to the left, was created by first selecting the person featured on the magazine cover with the Pen Tool and deleting her. Then, doing the same to my photograph except instead of deleting this selection I actually duplicated the layer into the the magazine cover document. I advise those working with the pen tool to have two separate documents to work on both images. I found it easier to organize everything and by right clicking on a layer you can simply select duplicate layer and choose the destination- even if it is another document. The magazine cover was chosen because it featured a person who’s head was in front of the magazine title which makes editing easier. The photograph of myself was selected since it was full body and could be edited down to fit the page. Unlike the silhouette project this one proved to be more challenging because the pictures were differently sized images but needed to be the same size. One way to go about making the images the same size is using Photoshop’s image resizing option in the image menu which doesn’t distort an image or cause pixelation. Once the picture of myself was inserted onto the background image successfully by making them both the same size, the background now needed to be edited since it was obvious that the layers were from two separate photographs. This is where things got tricky because matching a background even with the eyedropper tool can be tough. So the end product resulted in a transitioning of the cover of the magazine from a white on the left edge to a light gray at the right. This helped since my photo’s original background had gray in it which was visible in my hair. After completing these two projects I quickly realized my preferred method of learning. I find it easier to find articles that list out the steps with accompanied photos of what to do in each step. Video tutorials didn’t work as well for me because I have to continuously pause them and shift back to my work and then back to the video and possibly rewind several times. That is why I leaned a lot on written articles in forums and on Adobe’s website itself. In fact I found a great visual article explaining the pen tool on the Adobe site titled “Drawing with the Pen tools.” Regardless of method of learning, the Pent Tool is a necessary tool in your tool kit because it allows you to be picky and that is what makes for amazing results.